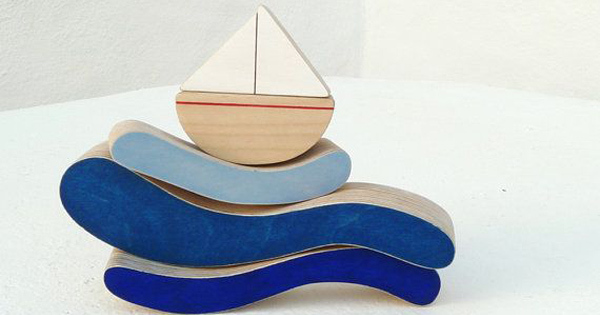 The next best thing to visiting the Greek islands is to have this darling stacking toy boat set that’s made there. Made from wood with non-toxic paints and varnishes. $40 from The Wandering Workshop.